I've had a big 'to visit' list for many years ans slowly but surely we are getting round to ticking things off. It's taking time due to a variety of reasons, usually money, often time, sometimes weather and some which were just not as appealing with young kids. 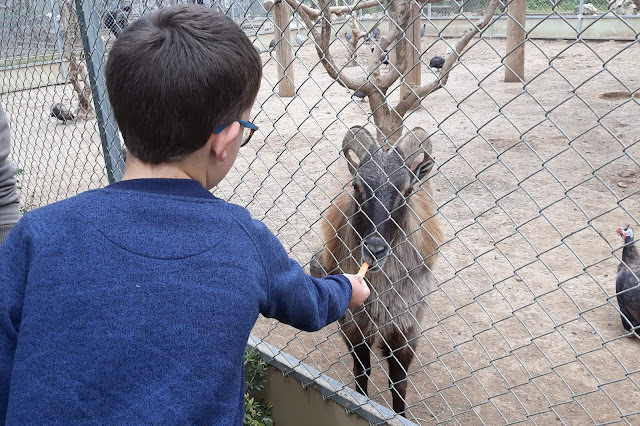 Earlier this month we crossed off two places from my family day out wish list with a trip to Nicosia, a planned trip to Melios zoo and an impromptu visit to Extreme Park. 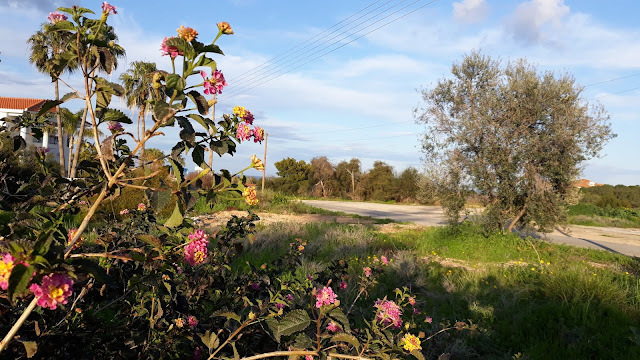 I wasn't sure what to expect from Melios as I'd read several bad reviews online over the years but looking at the website it seemed to me to be worth a visit. 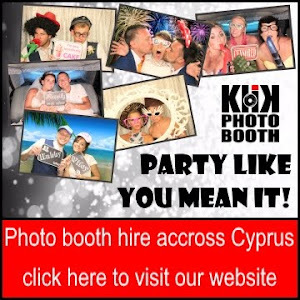 Entry prices are low (€3 for adults €2 for children) but I knew everyone wouldn't be impressed if I dragged them all to Nicosia and it was rubbish! You can buy big bags of carrots for €1 and feed the animals if you wish. Louka's favourite thing at the moment is football, he spends ages on the balcony kicking a ball around (and often over the edge!) or down with his friend on the field outside. He loves anything and everything with even a hint of football about it, so you can imagine his joy when we gave him a football themed water bottle! He's carried it around the house, used it at the dinner table, in front of the TV and taken it to bed! 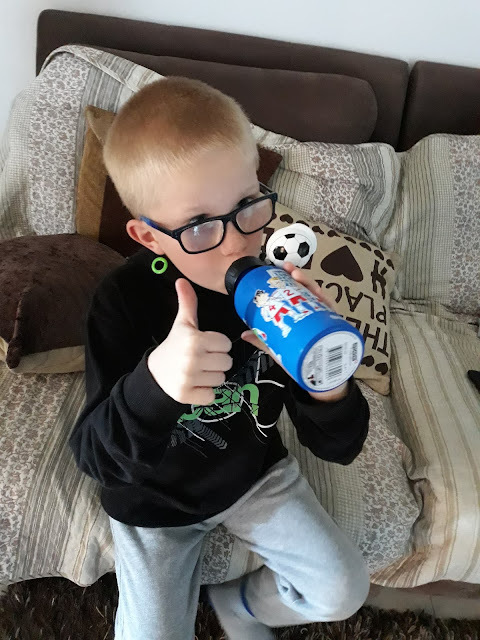 I explained to him that we received the bottle to review and he took it very seriously, telling me that it is a good colour and he likes the footballers on there especially the one with the blond hair. The best bit apparently is the lid because it looks like a football and he's never seen that on a bottle before. The bottle is by Sigg Cyprus and is part of their Aluminum Kids range. This weekend saw our first beach trip of the year! I learnt from previous experiences and made sure the boys were wearing swim shorts as I couldn't even tell you the amount of times they've ended up soaking wet despite them saying they are not going in the sea. I even put sun cream on us all! As you can see it wasn't very busy, it's not one of the busy tourist beaches though, Fig Tree bay and the like would have certainly been busier but this was nice and peaceful. We counted less than 10 people, including us! It's my favourite time of year! After cold winter spring seems to appear suddenly, almost overnight. You can feel a real warmth in the sun and you start to remember the kind of heat that will be on the way in the next couple of months. 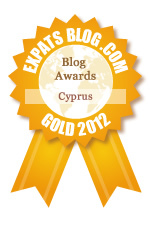 Unless you also live in Cyprus I expect you are thinking 'Cold winter? She doesn't know the meaning of cold' etc etc, but living here in winter is a whole different kind of cold. While it might nice enough outside, indoors can be uncomfortably cold. The houses are really hard to heat and we end up wearing so many layers and snuggling under blankets all the time! This year has also seen an amazing amount of rainfall, the most I think in over 100 years I'm sure I read somewhere. The country is just not good at dealing with this and there are been roads collapsing and property damage all over the place. But Spring has sprung and I just love it! Following on from my recent 80's toy flashback post I wanted to elaborate, while I had been writing the first post I had been browsing on pinterest and of course now it keeps showing me more of the same type of pins assuming that is what I am now interested in. Well of course it is right, I love memories! Last time I mentioned my favourites - Care Bears and My Little Pony, plus a couple of less popular toys but now it's all about the dolls. 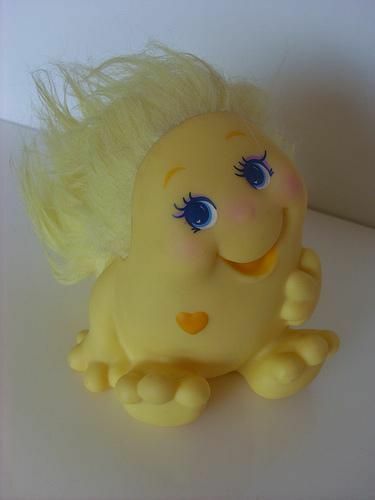 I had a Tiny Tears (or similar) doll, you know the one - feed it and change it, ahh the aspirations we all had! 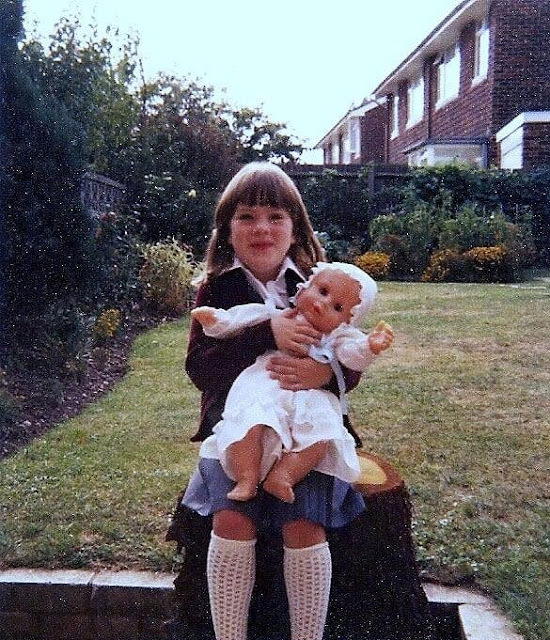 I wasn't a fan though, I remember it annoying me that it didn't really look like a young baby and so it seemed silly. Like so many parents I often despair over what my children eat, more accurately what they refuse to eat. Whilst Leo is much better than he used to be and is willing to try some things at least once, Louka is hard work when it comes to dinner time. I think he is probably 90% pasta at this point. His dinner choices consist of pasta, usually plain or maybe a little bit of BBQ sauce or mayo, with sweetcorn and hot dogs, ham or salami, chicken nuggets, pizza or sausages and a few variations on that but using mainly the same ingredients. Chips are ok as long as there are just a few, and homemade chips are not included, potatoes in any other form are definitely out. We had a roast every Sunday lunch, I didn't like roast potatoes so I usually got mashed instead. My favourite thing about my blog is the chance it has given me to write about some of my old photos and share the stories in flashback posts. I love the fact it is creating a record for my boys and maybe their children for years to come and giving them the opportunity to get a glimpse into what my childhood and life was like before they came along. Last year I introduced Leo to the BBC 'Back in Time' series'. The first series 'Back in Time for the Weekend', took the participating family from the 1950s to the 1990s examining how Britain spent it's leisure time, and was followed up with 'Back in Time for Dinner' which focused more on how eating habits changed over the years.